Cort performant,versiunea mai spatioasa a lui Odyssee 2P, la un pret atractiv. Foarte stabil in vant puternic, usor (2,79Kg) si o dimensiune impachetata mica : 50x20cm. 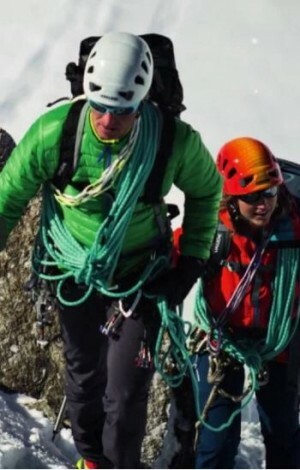 Materiale si tehnologii performante, care au facut celebra marca VAUDE la acest tip de echipament sofisticat, de cea mai mare importanta in camping/expeditii cand cortul devine practic noua ta casa. Exterior siliconat 3000mm, Interior ripstop, Podea 7000mm. 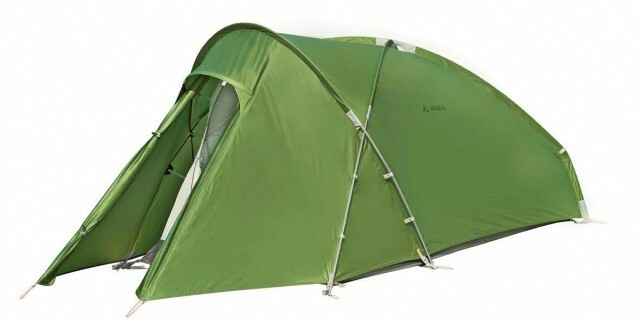 The 3-season tent for stormy weather: lightweight, high wind stability and generous space for 2 people. The geodesic construction allows for quick and easy pitching even under stormiest conditions. The specially shaped poles at the foot end make the walls steeper which creates more inner space and means more room and comfort. The large vestibule also provides enough space to protect large amount of gear from wind and weather. Dead-end pole sleeves so the poles can be fully tensioned from one side. Longer lifespan - 3-ply silicone coating outside for excellent UV reflection. Superior water beading properties - water simply beads up.Re-tensioning - the nylon fabric stretches somewhat when wet. 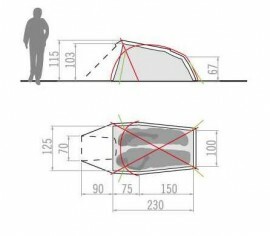 The tent should be re-tensioned if it begins to rain or snow.